Though we often only hear about norovirus when it's been linked to outbreaks on cruise ships, the highly contagious stomach bug is costing the world billions of dollars each year, new research suggests. Each year, nearly 700 million people worldwide are sickened with norovirus. This results in roughly $4.2 billion in health care costs and $60.3 billion costs in lost productivity, according to a study from the Johns Hopkins Bloomberg School of Public Health. The findings, published in PLOS ONE, suggest more attention and education are needed to fight the disease that also kills approximately 219,000 a year across the globe. "You only seem to hear about it when people get sick on a cruise ship or at a restaurant, but norovirus is everywhere," study leader Sarah M. Bartsch, MPH, a research associate at the Bloomberg School, said in a statement. "It doesn't matter how old you are or if you're in a wealthy country or a poorer one or if you've had it before -- you can get it again. And it is really unpleasant. But if we don't focus on norovirus and teach people how to prevent it, little headway will be made to combat it." Norovirus can cause severe gastrointestinal symptoms, including nausea, diarrhea, and vomiting. It is easily transmissible and can be caught by eating or drinking foods and liquids contaminated with the disease or touching objects with norovirus on them and then putting your hand in your mouth. There is no vaccine or treatment available for the disease. Though the majority of people who suffer from norovirus recover quickly, it can turn serious and even deadly for some, especially in children and older adults. The researchers note that although the stomach virus is most often discussed in relation to outbreaks, less than 1 percent of cases are associated with outbreaks. Actual incidences may be underestimated, they say, as health care providers do not routinely test for the disease. The study authors draw a comparison between norovirus and rotavirus, a diarrheal disease that kills many babies but rarely endangers anyone over age 5. Rotavirus was estimated to cost $2 billion a year before a vaccine was rolled out. "The costs associated with norovirus are high -- higher than for many diseases, including rotavirus, that have gotten a lot more attention. 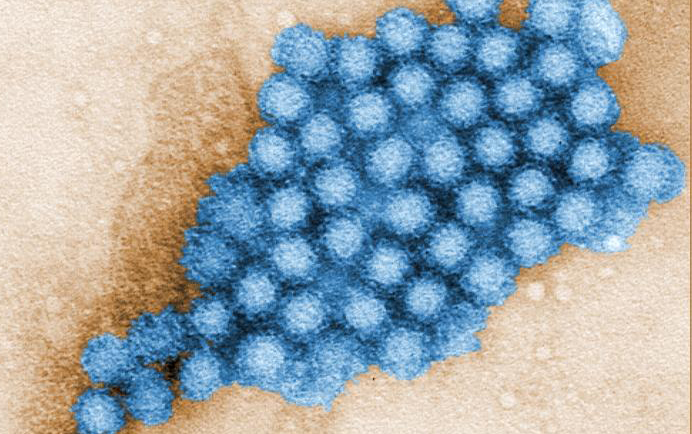 Our study presents an economic argument for greater consideration of norovirus," senior author, Bruce Y. Lee, MD, MBA, an associate professor in the Department of International Health at the Bloomberg School, said. "It has been flying under the radar for too long." For the study, the researchers developed computer models to estimate the costs associated with norovirus in over 230 countries, regions, and territories in the world for which the United Nations has population data. They estimated healthcare costs, such as clinic visits and hospitalizations, as well as economic costs in loss of productivity, which includes missed work due to illness, caring for a sick child, underperforming at work while sick, and premature mortality. "Lost productivity is a big part of the cost," Lee said. "By just focusing on health care costs, or simple measures such as death caused by the disease, we miss a lot of the burden. Productivity losses tend to go unrecognized, but make up 94 percent of the global economic burden of norovirus." The researchers say their findings demonstrate the need to develop new technologies and approaches to detect, prevent, and treat norovirus infections. Currently, the best ways to prevent sickness from norovirus include proper hand washing, taking health precautions during food preparation, and keeping those who are sick with the disease from coming into contact with others.